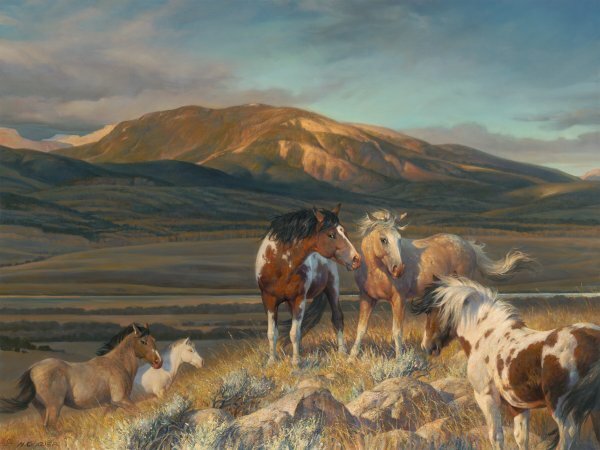 Nancy Glazier loves all the animals she paints, but the wild horses of the Plains are among her favorites. This small herd of horses stands out against the setting of stark mountains behind them. These beautifully marked animals with their distinctive coats appear to be a "Bright Band" in the muted landscape.